So, you have a home that you want to sell and are confused how to do it. Selling your house by yourself is no longer a complicated task. With a basic knowledge of the internet, it can easily be accomplished. Here are some basic guidelines on how to sell your property online yourself. These days there are a number of property listing websites available. While selling your house, you need to carefully select an authentic website. There are paid and free listing facilities provided. While listing your property, it is better not to be hasty and reject a site just because it is charging a fee. Sometimes the facilities that these paid sites offer override the minimal expense of listing on them. 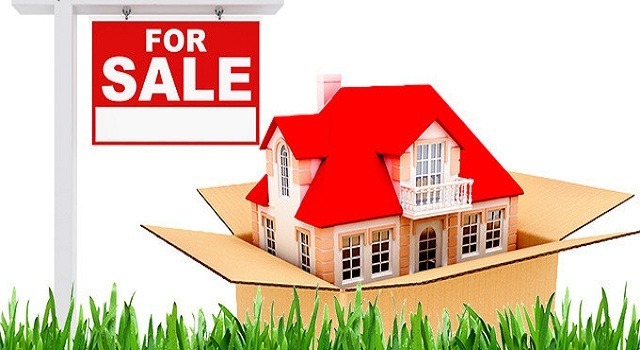 You should also bear in mind that it is not every day that you will think about selling your home so it is better to do it with a reliable site. Additionally, by listing online you will also be saving on the commission that you would have paid, had you engaged the services of an agent. Once you have decided on the website, the next step is to list your home on the site. For this you need to register on the site by furnishing your details as required. Once you have registered, on a paid site you will have to select from the various options or packages and pay for the one you have selected. After paying for your package, you can upload the details about your property. This is a brief description of the property, giving its location, the number of rooms etc and other facilities like a pool, gym etc. After this, you can upload pictures and videos of your property. This will help the prospective buyers get a fair idea about the property. The listed property can be viewed by people anywhere in the world. Interested customers can directly communicate with the owner through the website. The website sends the enquiries by mail to the owner. The owner can contact the customers and both can decide on a mutually convenient time for inspection. Before the client visits the house, the owner has to see that the house is in order. He has to ensure that all fittings etc are in working condition. The house is clean and whitewashed. The house should look presentable both internally and externally to make an impression on the client. The house should be presented in a way that the client can see his home in it. Once the client approves the property, the deal can be made. So, you see how simple the process of selling your property is! If your property is located anywhere in Australia and you want to sell it, one of the leading websites is Minus The Agent. You pay only once for the package that you select. In return, this site not only lists your property on its own site but also on other popular property listing sites like domain.com and realestate.com.au at no additional charges. Additional listings are also done on social media sites and this increases the traffic tremendously.